(Recto, mount) inscribed in brown ink, below image: "James Ballantine. Dr. Geo. Bell. D. O. Hill. "; in pencil, at upper left corner: "S157." 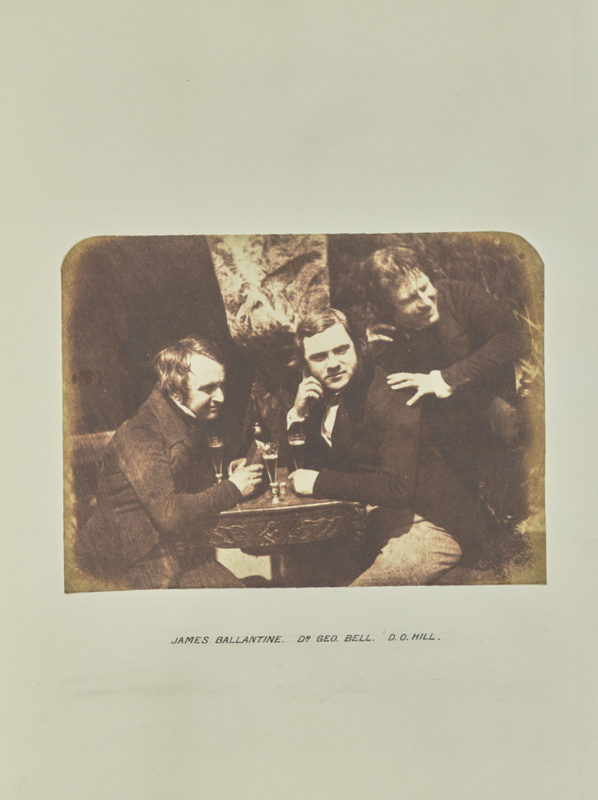 Half-length portrait of three men with glasses of ale around a table.